TGIF people! How has your Friday been? Hopefully it's an awesome one! It's about 9pm now, and I'm sure most of you have had your dinner already, so you won't be too hungry looking at this delicious KFC Double down burger right? Heh. I finally got to try this after seeing so many people posting a picture of this burger on Instagram. Okay, so let's do a review on how I think this all new concept burger fares. 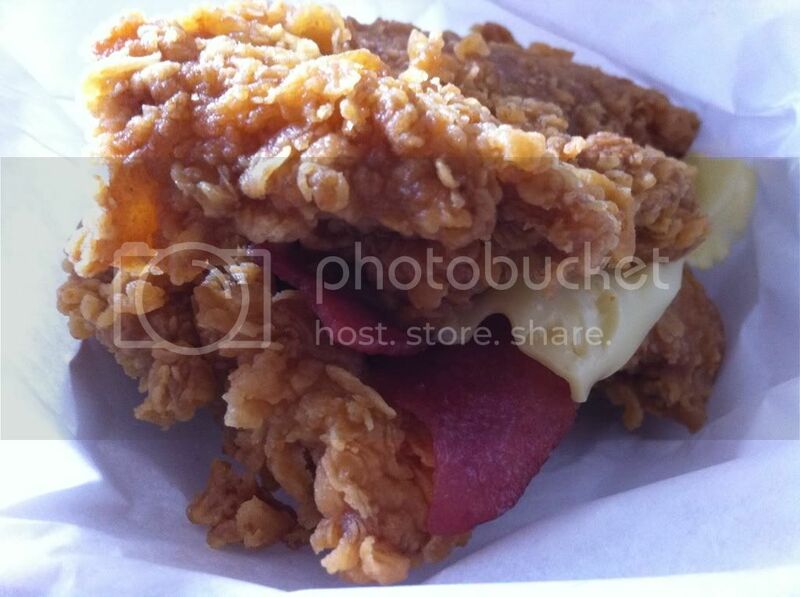 Basically, it's bacon and cheese with mayo sandwiched between 2 pieces of Zinger burger chicken. Personally, I feel that the first bite into it is really mind blowing, with the thick chicken as the bun and savory bacon with melting cheese as the "patty". I loved the bacon, as it adds a tinge of saltiness to that already marinated chicken. I must say that this combination is rather interesting and the ingredients complements each other well. However, after struggling through half of the burger, I started feeling that it was a bit too much for me. 2 pieces of chicken is really no joke, especially when there is no bun to neutralize the oily feeling. It's best to share it with a friend so that you won't feel so sick of it after finishing the whole meal and your friend can take care of half of the calories for you too! Heh. Overall, this concept of a "bun-less" burger is pretty new to me, but I liked it, and will probably have it again a month later if it's still available. 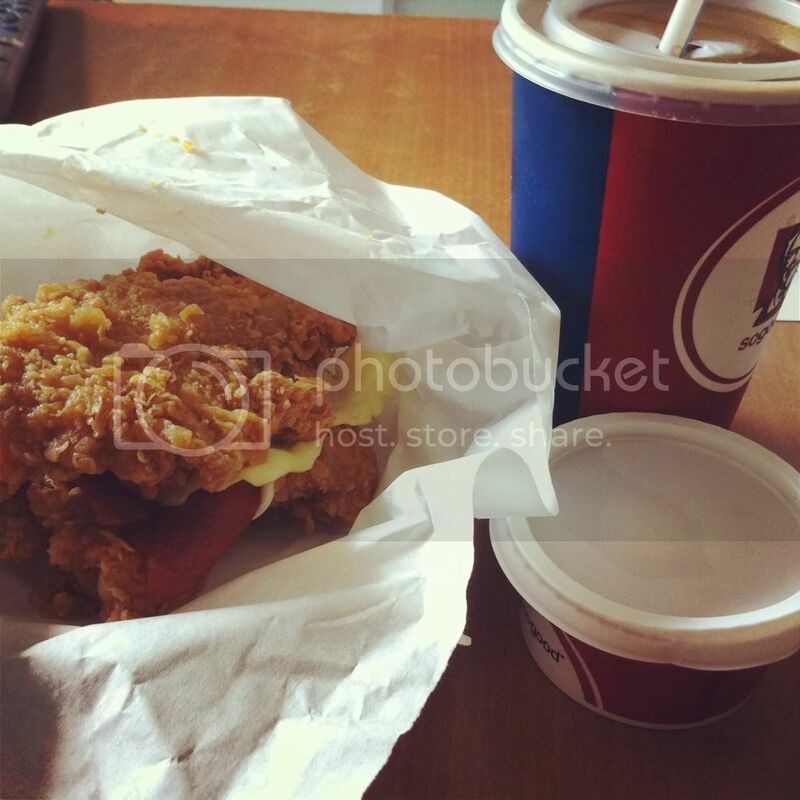 So do give it a try if you love Zinger burgers, or simply love fried chicken. It wouldn't disappoint, and will leave you wanting for more. Alright, that shall be my review for the all new Double Down burger. P.s. This burger contains 540 calories. Have a fabulous weekend, and EAT EAT EAT away!